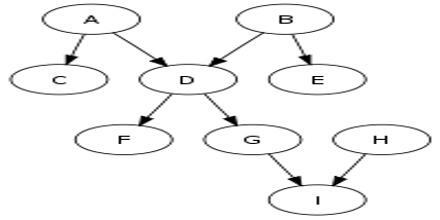 Polytree is a directed acyclic graph for which there are no undirected cycles and for which the underlying undirected graph is connected. It is a directed graph formed by giving a direction to each edge of a tree, forming an orientation of the tree. Every arborescence is a polytree, but not every polytree is an arborescence. In other words every polytree is a multitree, a directed acyclic graph in which the subgraph reachable from any node forms a tree.